Guide: bulk Power Bank prices (5 working day). 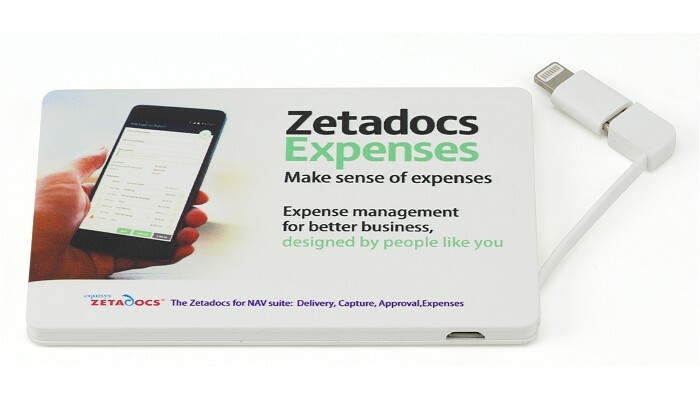 Featuring a built in Lightning connector this top quality credit card sized power bank that can be printed in full colour. Being small it is very convenient and it has a quality Lithium-ion polymer battery with a 2500mAh capacity, enough to fully recharge a mobile device like a smart phone. 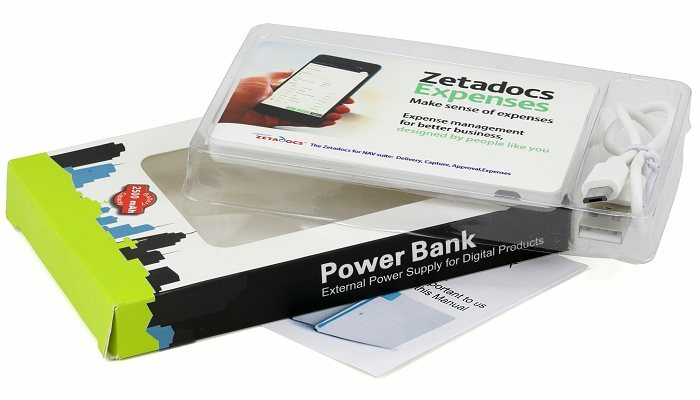 The standard packaging is a coloured cardboard box with a window, instructions and a USB to micro USB charging lead. Also available in other colours at lower cost (not express).